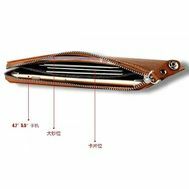 Buy best quality leather wallet with credit card holder for men & women in Bangladesh at best prices. 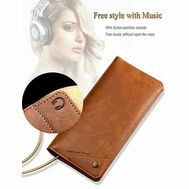 These high quality multi-functional leather wallets are usually designed to fit perfectly for iPhone mobiles, Samsung Galaxy and other smartphones with credit card slots and multiple chambers. Home delivery is available in Dhaka and we deliver products all over Bangladesh through courier service. Most of these are artificial leather. but quality is very good. no doubt! at least much better than so called GENUINE LEATHER! Buy classy leather wallet from here, excellent quality and packaging... want to purchase another one for my brother. Price is bit high but the product quality and customer support are very appreciating.